When businesses need to collect, generate, score, and analyze ideas, Innovate by Planbox is an effective cloud-based solution. With an event-based rules engine, the application can easily be configured without needless customizations to fit nearly any organization’s needs with minimal up-front expense. Innovate excels at building communities around a challenge or idea. Diverse idea sources can be aggregated and combined to give insight into a solution or idea that might otherwise go unnoticed or unheeded. The software integrates with many other applications and platforms to create a robust and comprehensive tool to meet nearly any scenario. The application can be configured to allow access to a specific group or can be tailored to allow anyone to access the software to give feedback or leave a suggestion. Moreover, the application can help employees connect with experts to facilitate an even greater level of value and return on investment. Because the purpose of Innovate is to solicit a wide range of opinions from a diverse set of people, the interface is designed to be usable for all skill levels. This means that when a user logs in in to Innovate to submit an idea or participate in the innovation management process, no training is required to use the application. Furthermore, the application supports numerous languages, allowing an organization to receive input and participation from around the globe. Organizations have full control over how they want their idea innovation process workflow to operate. Workflows can be configured as a single step or set up to include multiple steps and procedures to maximize the idea generation process according to need. And, workflow processes can be changed at any time without affecting the overall workflow. Automation is central to the Innovation workflow design, which uses an event-based rule workflow to trigger when certain actions must be taken. For example, if an idea has reached an approval stage, it can be automatically sent to specific department heads to implement the idea. Gaining valuable insight and intelligence from the idea innovation process was not an afterthought for the designers of Innovate. Organizations have access to a vast array of reports and analytic tools through the analytics engine to make the most of the data generated by the application. Organizations can add incentives to reward participants according to any number of metrics, such as number of ideas submitted or number of votes per idea. For example, a company can award an employee whose idea received the most positive votes with extra vacation days. The employee who spent the most amount of time on collaboration with other participants can be similarly awarded. Innovate is ready and able to integrate with several third-party software applications to further enhance its value. In addition to its sister software, Work by Planbox, the platform can share data with customer relationship management software, such as Salesforce App Cloud. Innovate can also be linked with Facebook and Twitter. 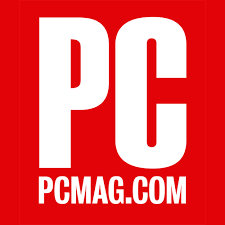 For more information and to read the full Innovation Management Software review, please visit PC Magazine’s Planbox Innovation Management Software review. You can also sign-up for a tailored demo of Planbox Innovate or visit our resources page to access guides, whitepapers and videos on Innovation Management.